Southwest of Bend nestled in the beautiful Willamette National Forest is Waldo Lake, Oregon’s second deepest lake, known for its incredibly transparent waters and spectacular scenery. Only 92 miles southwest of Bend in the beautiful Willamette National Forest. Excellent fishing for trout and salmon in amazingly clear waters. The second deepest lake in Oregon. Beautiful hiking trails and plenty of campsites can be found near the lake. Nestled deep in Oregon’s beautiful Willamette National Forest is Waldo Lake, the second deepest lake in Oregon. It’s unusually clear waters allow you to see fish that are swimming up to 120 feet beneath the surface. Waldo Lake is the head of Oregon’s scenic Willamette River. A variety of beautiful evergreens, including mountain hemlock, silver fir, and lodgepole pine, are mirrored in its glassy waters. Waldo Lake, OR is southwest of Bend. By car, it is just over 92 miles by taking Hwy 97 south for about 56 miles. Turn right on Hwy 58 until you reach NFD Rd 5897. Turn right; the lake is about 8 miles ahead. Willamette National Forest Supervisor’s Office, 3106 Pierce Parkway, Suite D, Springfield, OR 97477. Phone: 541-225-6300. Visit the Waldo Lake, Oregon website here. Hiking – The famous Pacific Crest Trail passes near Waldo Lake. There are also multiple other hiking trails that boast spectacular scenery and views. Fishing – Waldo Lake’s plentiful salmon and trout, along with its breathtaking beauty, make it a popular fishing location. 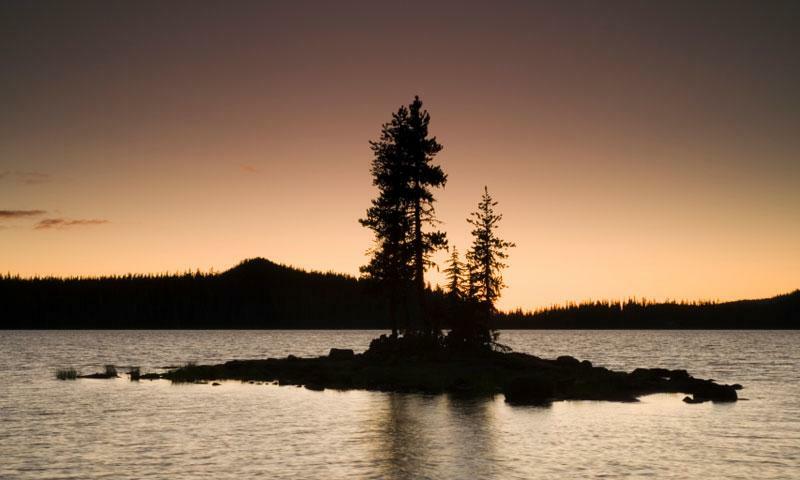 Camping – Three campgrounds provide over 200 designated sites for Waldo Lake camping. There are also 50 undeveloped tent sites near the lake. The deepest part of Waldo Lake is 420 feet. The lake’s surface is 9.8 square miles, and its shoreline is 21.7 miles long. The elevation of Waldo Lake is over a mile at 5, 414 feet. Chemically, the water in Waldo Lake is very similar to distilled water. The lake’s name honors John B. Waldo, a prominent Oregon conservationist, politician, and judge who died in 1907.